Yes, you read that title right. 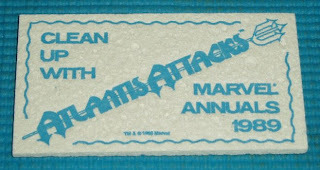 A promotional sponge. 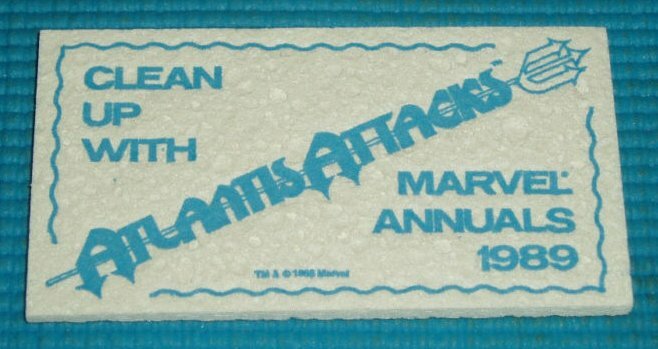 Apparently to promote the Atlantis Attacks crossover event, Marvel Comics sent out sponges to retailers. 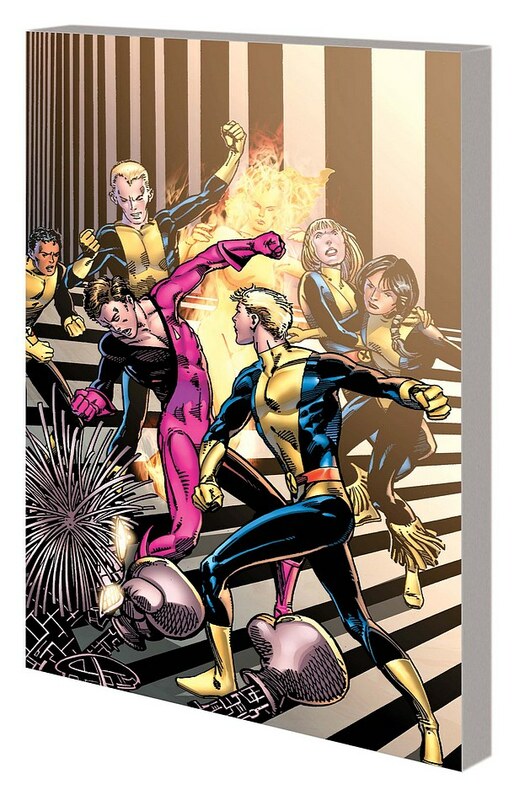 Based on the eBay item descriptions, it seems to be about 4"x 2" x .25". The Scorpio Connection is a decent story with enough twists and turns to pull you along. 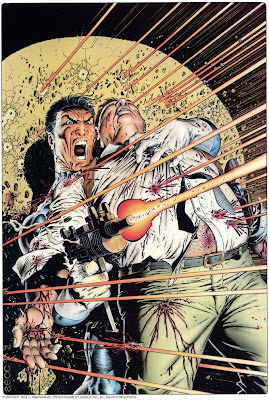 This story exemplifies the strength of Archie Goodwin’s writing. Bringing together to solitary characters and have them tackle some real issues. Chaykin’s art is always solid. 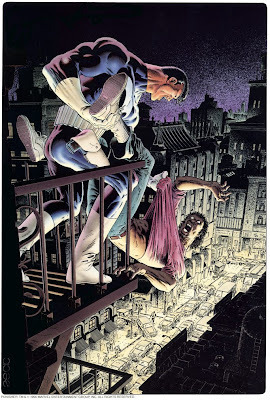 Howard Chaykin established himself with the Indy series American Flagg. 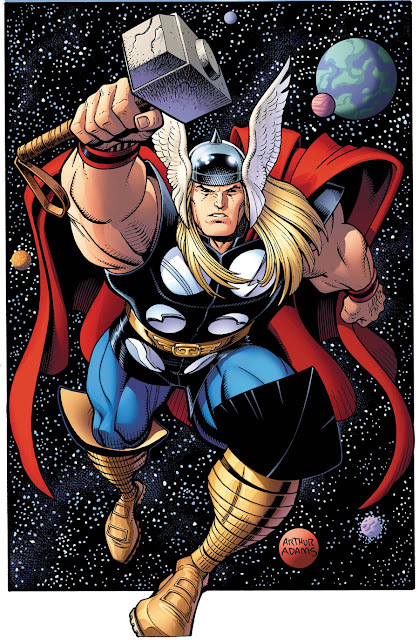 He rarely contributed to either of the Big Two (DC and Marvel). Interestingly, it apparently took Archie Goodwin three years to write the script after Chaykin had drawn the graphic novel (Marvel Age #79 - October 1989). Richard Ory did a wonderful job with the colours and in some panels the colours where used to fill in the background, like luscious Mediterranean sunsets or the grainy black and white flashbacks. The basic plot is a pretty standard team-up. 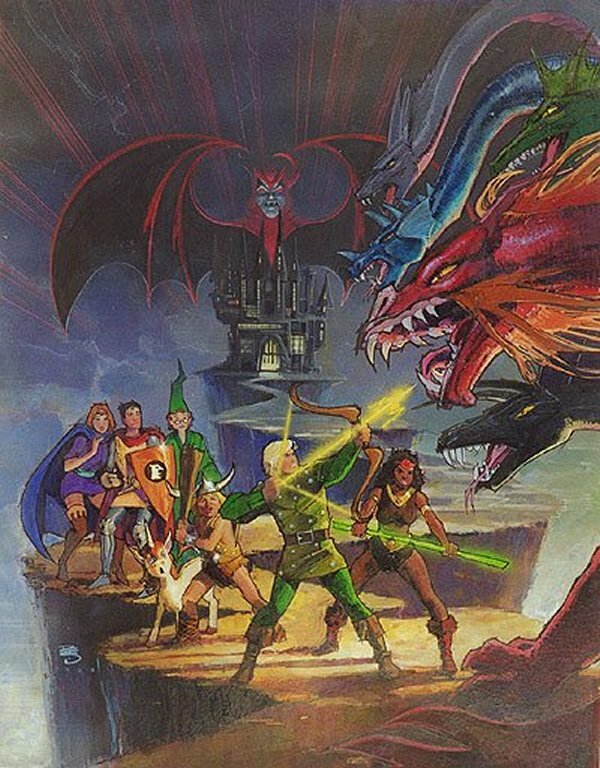 An event brings together two heroes. They each try to take on the threat on their own and fail. However, together they’re able to come out on top. 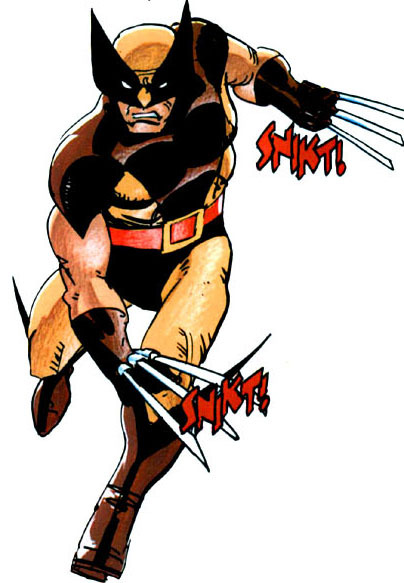 The event is the death of a mutual friend at the hands of someone posing as Fury’s late brother, Scorpio. However, things get rather complicated as the mastermind behind the situation turns out to be an old flame Fury played back in his C.I.A. days. 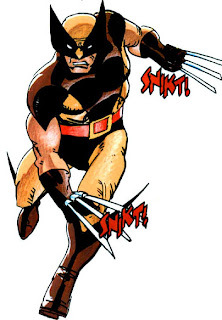 Fortunately, he has Wolverine tag along with him to keep him in check. Things become a bit more personal when they find out who this new Scorpio really is. 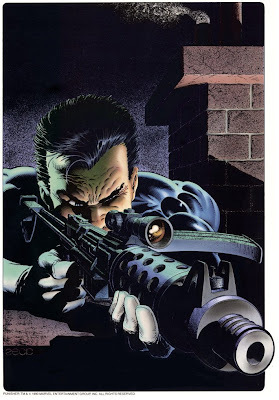 This storyline continues in the pages the Nick Fury: Agent of S.H.I.E.L.D. ongoing series in late 1989. 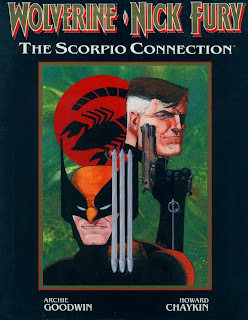 Howard Chaykin wrote a 1994 sequel to this graphic novel called Scorpio Rising that brings all three characters together again. I’d been avoiding this story for awhile now. Not exactly sure why, perhaps it was because I knew it was such a powerful story and I wanted to do it justice. Perhaps it was hitting close to home as I was approaching 40 years old and dealing with my own mid-life crisis. So what’s this story all about? 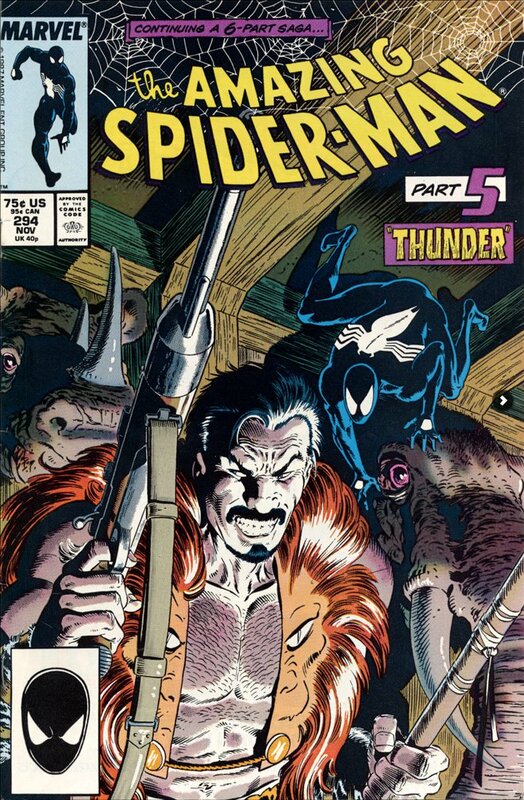 Kraven the Hunter, a proud, but broken man hit a midlife crisis and his inability to best Spider-Man haunted him, chipping away at his sanity. 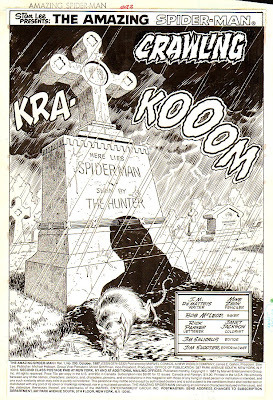 DeMatteis skillfully contrasted how Peter Parker and Kraven deal with life and death. Peter Parker was struggling to deal with the death of his long-time friend, Ned Leeds, and it was forcing him to also confront his mortality. 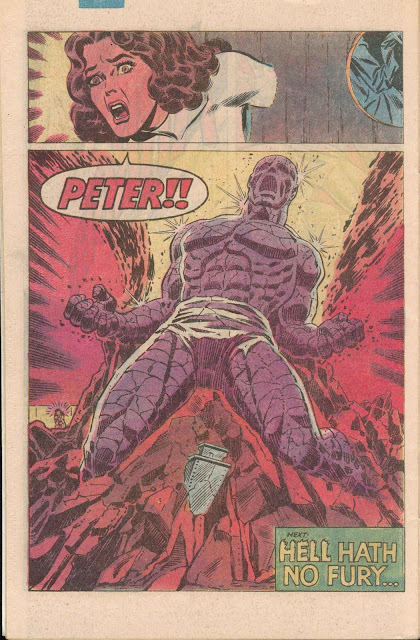 That first issue, Web of Spider-Man #31, was so powerful. You can’t help but feel for Kraven as he struggled with his depressions and how we started seeing the cracks in his fragile psyche. Kraven confronted Spider-Man on final time. 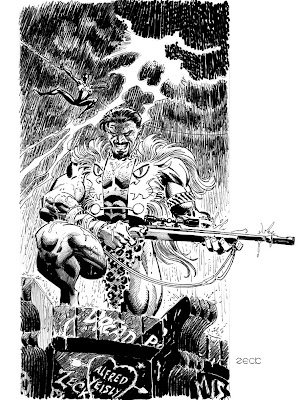 And it that chilling confrontation, Kraven captured him and seems to shoot him dead. 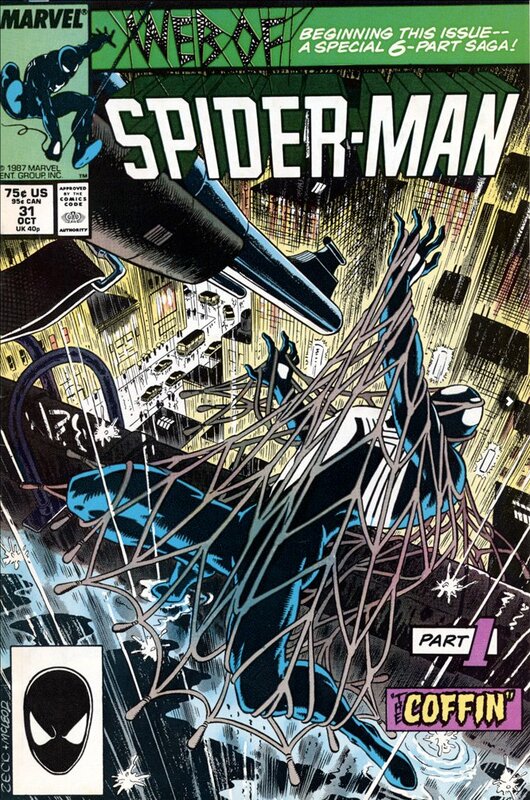 That scene, with Spider-Man caught under the net, is terribly disturbing with Kraven approaching him with a gun. Spidey’s doing his best at his witty banter to get Kraven to stop. BLAM. Wow. The pacing of the story is offset and paced by the reoccurring image of a grave digger hard at work. Kraven set his sights on the Vermin who had been terrorizing the streets of New York City. As Spider-Man needed the help of Captain America to defeat the Vermin last time they had fought, Kraven took him on alone and defeated him. And in his fractured mind, that proved once and for all, he was the better man. This story also provides a textbook example of how to write a married Spider-Man. While Joe Quesada thought that you couldn’t write good stories about a married Spider-Man, he obviously never talked to J.M. 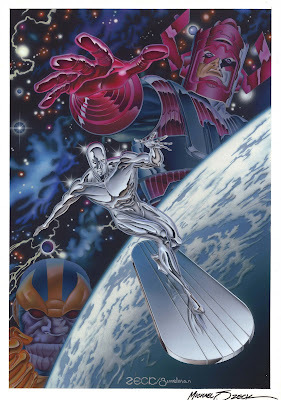 DeMatteis. You can’t help but feel for Mary Jane while Spider-Man is missing. She fears that he’s dead, much like a police wife must feel every time they go into action. Web of Spider-Man #32’s opening was very well executed and sent shivers down my spine as Spider-Man/Peter Parker struggles emotionally as well as physically to free himself. His ultimate lifeline is Mary Jane. And you start wondering what would happen to Peter Parker emotionally without that lifeline and the help of his supporting cast. 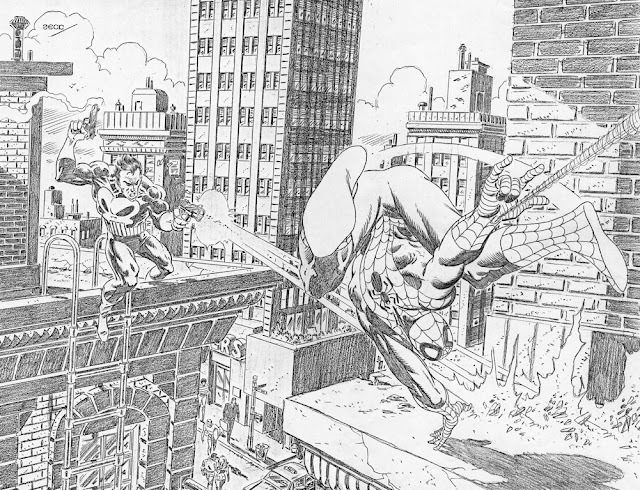 Spider-Man pulled himself together and confronted Kraven who had robbed him of two weeks of his life. 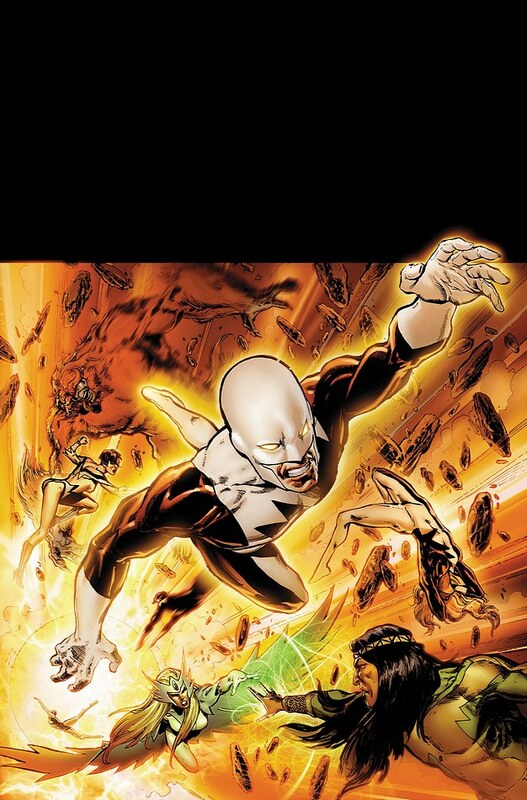 However, Kraven didn’t want to engage him. 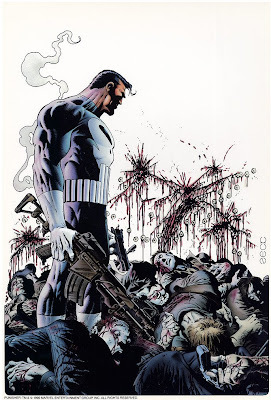 That was a tough part of the story as you’re looking for the typical superhero, knock-down, drag ‘em out fight to resolve the situation physically, to redeem the hero and have him show his superiority. Kraven then released the Vermin and Spider-Man was forced to fight him. Spider-Man for a few moments had lost control and took out his frustration and anger on the Vermin, but his humanity prevailed. 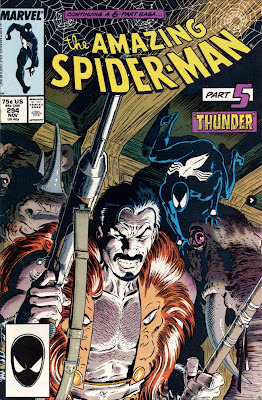 But, Kraven was in charge and in control and freed the Vermin which he knew it would prompt Spider-Man to set off in pursuit. The scene in which Kraven watches Spider-Man leave, knowing that it is the last time that he’ll see his honourable foe, was heartbreaking. Again, DeMatteis and Zeck both tug at your heartstrings as they depict this broken man who has collected what’s left of his pride. And Kraven then proceeded to kill himself. Wow. And his suicide happened at the end of part #5, leaving a full issue to deal with the repercussions of everything that had happened. Peter Parker, who was still traumatized by what had happened, had to struggle emotionally to get it together so he could recapture the Vermin. 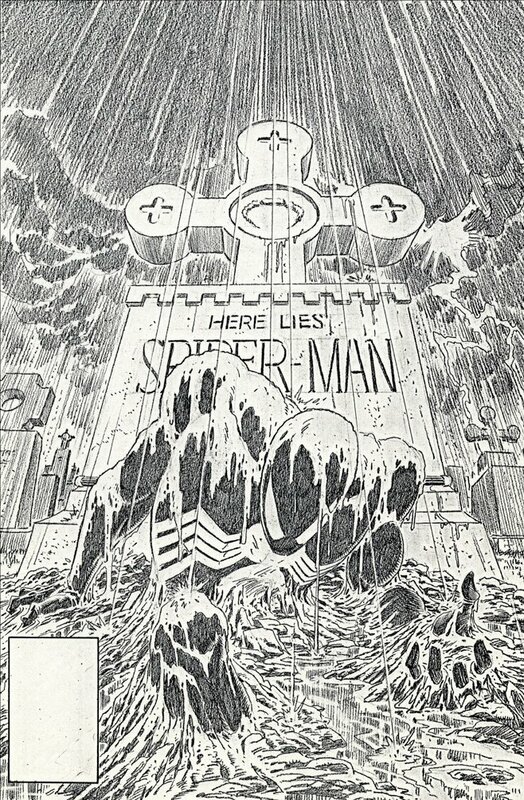 The final few scenes highlight that fearful symmetry, showing Spider-Man going home to the warm embrace of Mary Jane while Kraven was laid to rest in the cold embrace of the grave and death. Life is difficult and often a struggle. This story highlights that very fact and reminds us that there are things worth fighting for, struggling for and also reminds us what happens when a mental illness strips away those things and leaves you feeling that there’s nothing worth living for anymore. Keep in mind that suicide was something unseen of in comic books at that time. 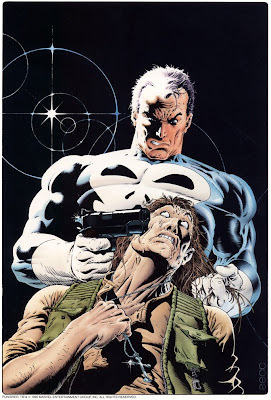 DeMatteis boldy tried to confront issues like mental illness and depression. 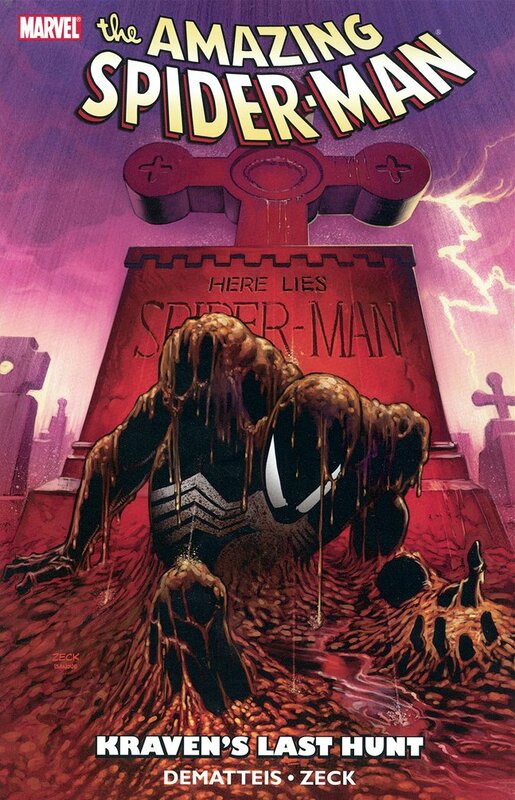 Ultimately, it’s left up to you as the reader to judge Kraven’s actions, what it an act of honour, cowardice, or mental illness? 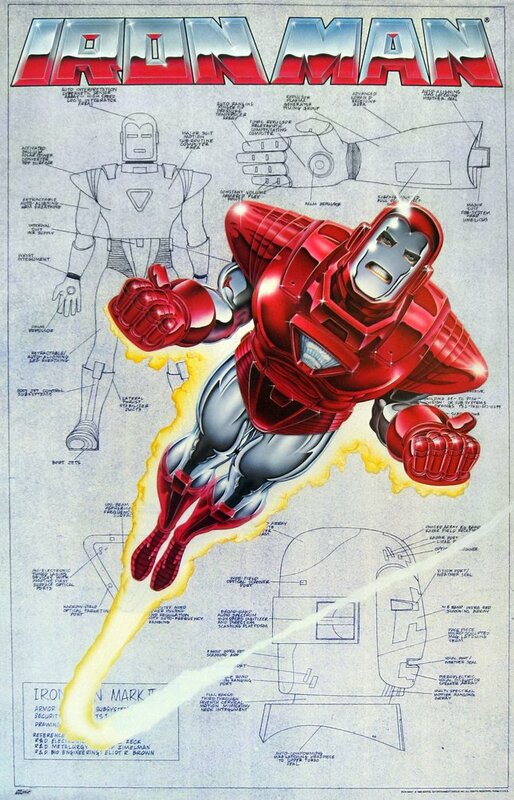 DeMatteis had originally pitched the story idea several times and had been rejected. At Marvel with Wonder-Man and Grim Reaper. 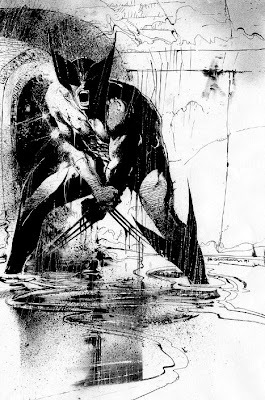 Then with Batman and Joker to DC Comics and Len Wein, editor of the Batman titles, rejected it. And a third time it was rejected by Denny O’Neil. “ I was frustrated, to say the least, by all the doors slamming in my face, but this seed of an idea—well, by this time it had pushed up through the soil and was sprouting branches and leaves—just kept growing, unfolding at its own pace, in its own time. It knew, even if I clearly didn’t, that it would soon find the form, and, most important, the characters, it had been seeking all along. Peter Parker is perhaps the most emotionally and psychologically authentic protagonist in any super-hero universe. Underneath that mask, he’s as confused, as flawed, as touchingly human, as the people who read—and write—about him: the quintessential Everyman. And that Everyman’s love for his new wife, for the new life they were building together, was the emotional fuel that ignited the story. It was Mary Jane’s presence, her heart and soul, that reached down into the deeps of Peter’s heart and soul, forcing him up out of that coffin, out of the grave, into the light. 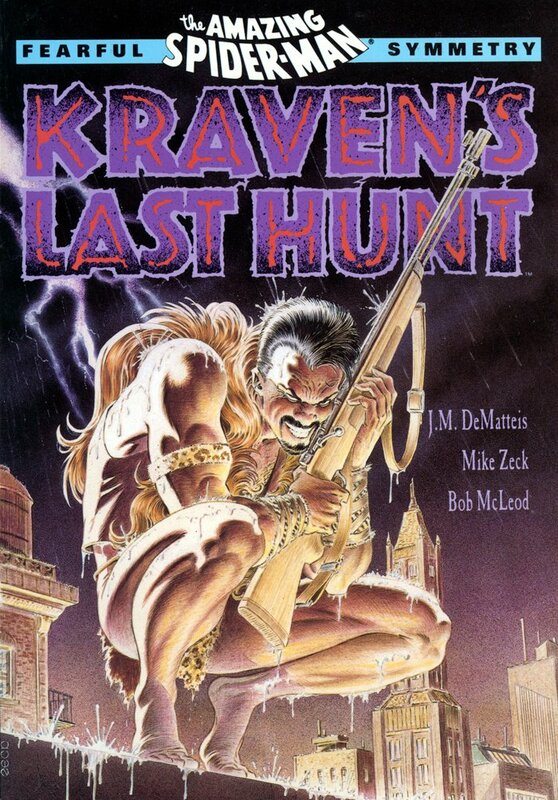 And why Kraven the Hunter? 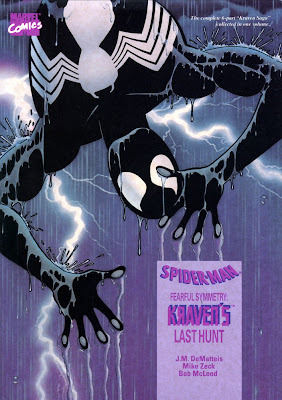 Let’s be honest, Kraven has always been a bit of a joke, one of those b-villain of Spidey's rogues gallery. “Please understand that I had no interest whatsoever in Kraven. In fact, I always thought he was one of the most generic, uninteresting villains in the Spider-Man gallery. Couldn’t hold a candle to Doc Ock or the Green Goblin. Enough can’t be said about the artwork in this story and how well it helped tell the story. 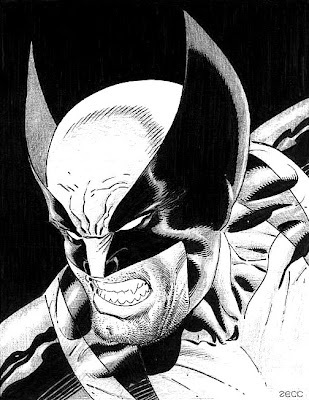 Bob McLeod did an amazing job finishing Zeck's pencilled art, adding a clean, fresh feel to the end product. 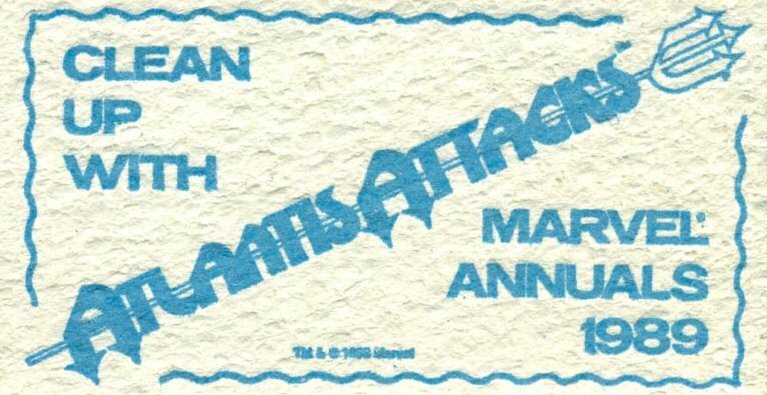 Interestingly, at that time, DeMatteis was suffering a mid-life crisis of his own, which ties nicely into what I was saying earlier about how tough life can be at times. “I’ll spare you the sordid details: Let’s just say I was in a period of my life where each day was a Herculean struggle. I felt as buried alive as Peter Parker; as much a dweller in the depths as Vermin; as lost, as desperate, as shattered as Sergei Kravinov. 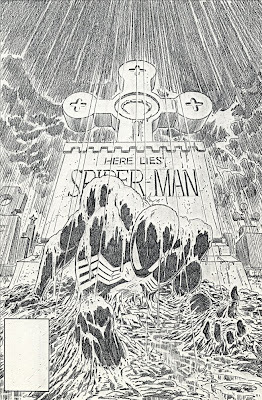 In Back Issue #35, DeMatteis admitted that "Kraven's death was an outgrowth of the story. 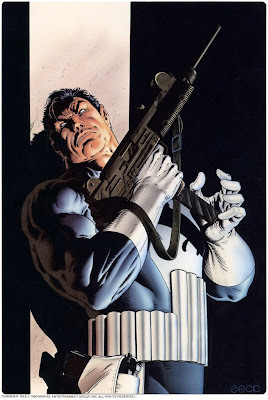 "It was a totally fitting exit for the character that Marc DeMatteis had written, and it came with a sense of triumph rather than despair or cowardice. I was secretly happy that his death meant that no one else was going to get a chance to take that character and potentially dumb him down again. 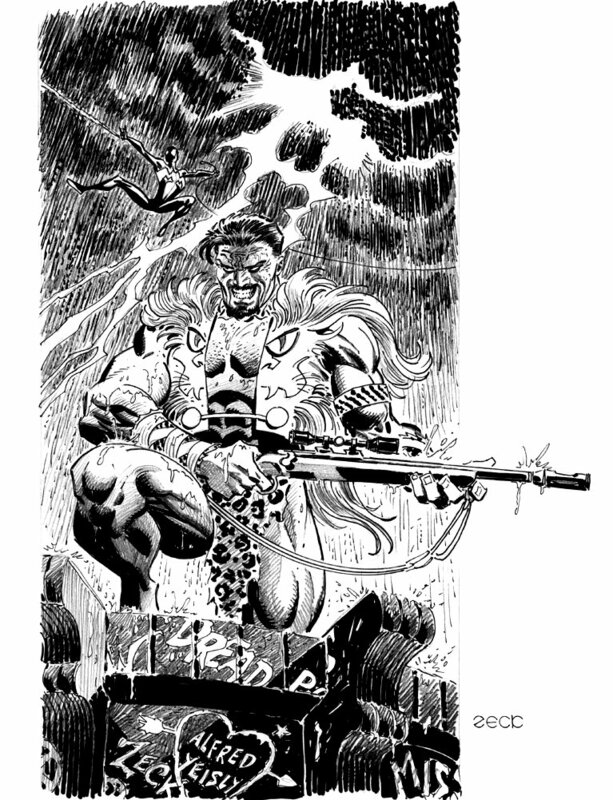 In my opinion, the definitive story had now been written and Kraven was exiting the Marvel Universe with style. So lights out, close the curtain, let him rest in peace and let's all rejoice in his final triumph." 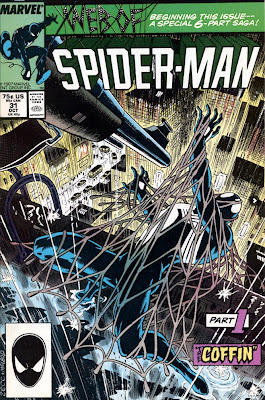 First time a story had run through all three Spider-books. 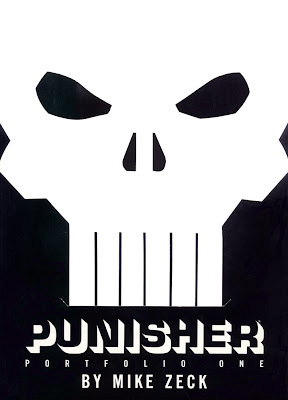 The book received several complaints from fans that they were glorifying suicide. 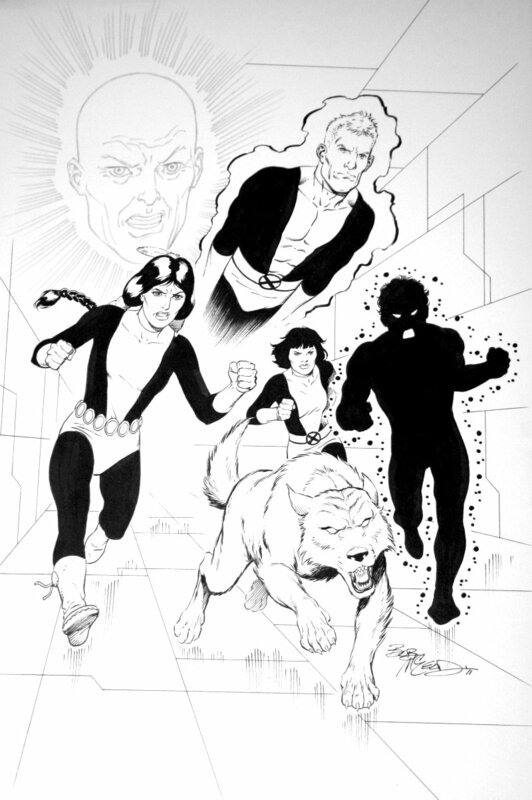 A one-shot sequel, entitled "Soul of the Hunter" was published in 1992. 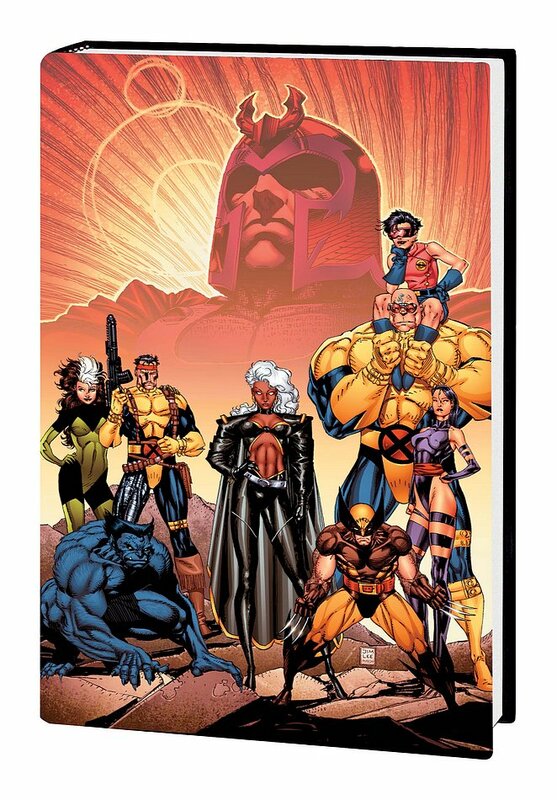 Reprinted in 1989 as a hardcover and in 1991 and 2008 as a trade paperback. Also, the story was reprinted as a Marvel Premiere Classic HC in 2006. This edition featured a wonderful set of extras including several pages displaying Mike Zeck’s breathtaking pencils. Where to start with this one... Uncanny X-Men #177 was the first comic book I had on my first subscription list at my first comic book store. I only had enough money for four titles on my pull list, Uncanny X-Men, Alpha Flight, Amazing Spider-Man, and The New Teen Titans. 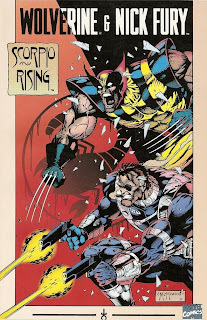 Artistically, this issue is a dream featuring the legendary father and son combination of John Romita Jr. and John Romita Sr.. This was Romita Jr.’s first full-issue on the Uncanny X-Men and over the next few years he’d become one of my favorite X-artists. 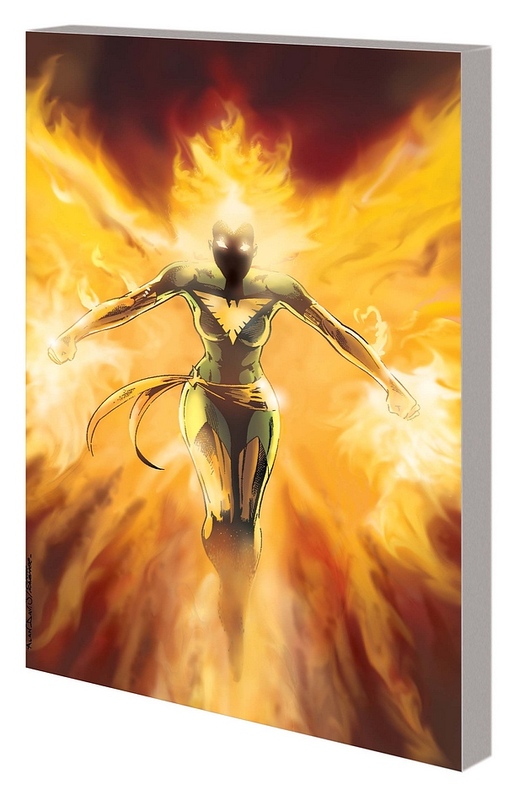 So imagine being 13 years and picking up this issue and after reading 10 pages, most of the X-Men have been killed by the mysterious assassin known as Mystique. Fortunately, it turns out not to be a dream, but actually a session in Arcade’s Murderworld. 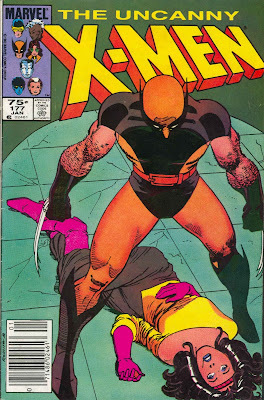 Interestingly, rereading this issue and knowing that Claremont originally intended Mystique and Destiny to be the parents of Nightcrawler made this issue that much more powerful. And that’s what is wonderful about this issue. The characterization. Mystique and her love for Rogue and she’s willing to kill all the X-Men to get her back. The conflict between Kitty and Storm after her radical change of clothing and hairstyle. The heartfelt goodbye between father and sons as Scott and Alex say goodbye to Corsair as he heads out into deep space. 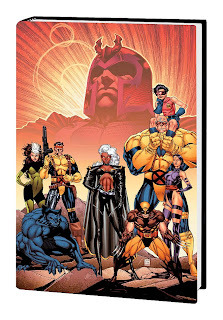 Same with Professor X as he bids farewell to his love, Lilandra. 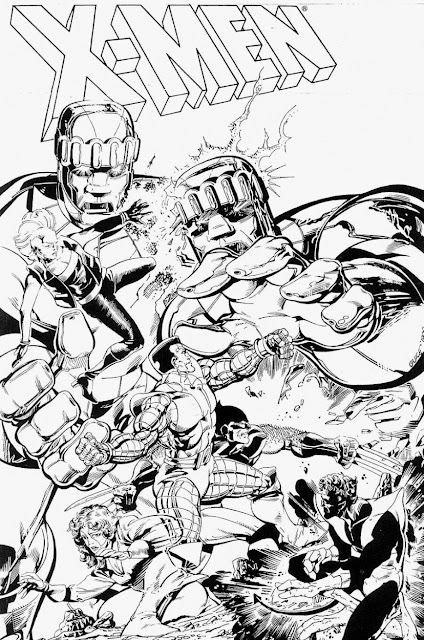 And then the action sets in as Colossus is ambushed by the Blob, Pyro, and the Avalance and that in turns sets up one of the most memorable final pages of the 1980s. Wow. Gotta love the Marvel Comics of the 1980s and this issue is a damn fine example of why I do! 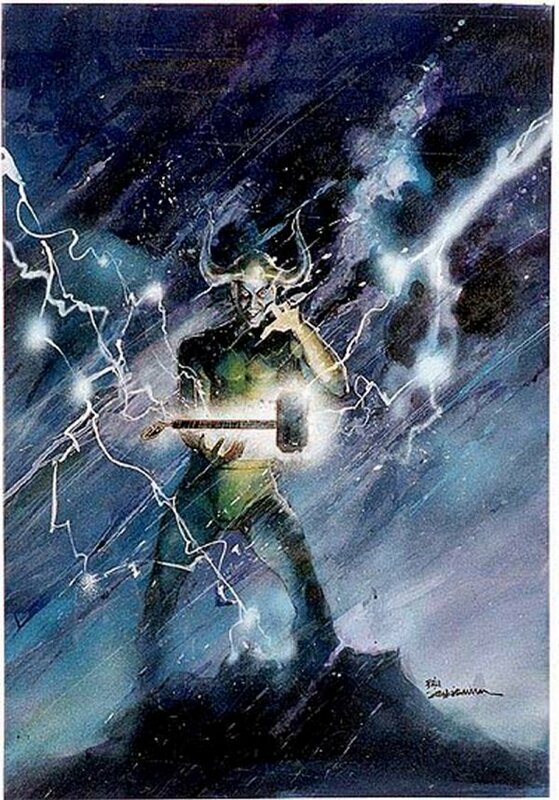 Had this poster on my wall as a kid. 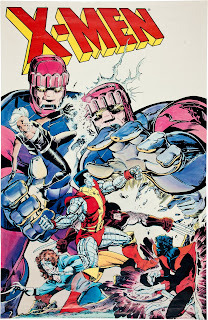 Never could get into the Micronauts, but I loved the X-Men/Micronauts that Butch Guice drew (http://marvel1980s.blogspot.com/2009/09/1984-x-men-and-micronauts.html). 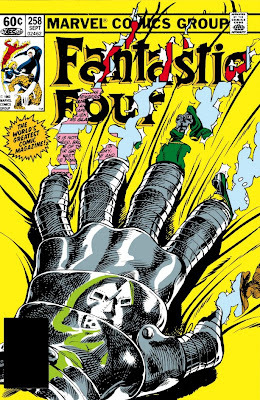 John Byrne was firing on all cylinders with this issue as he walks us through a day in the life of the Fantastic Four’s archenemy, Doctor Doom. 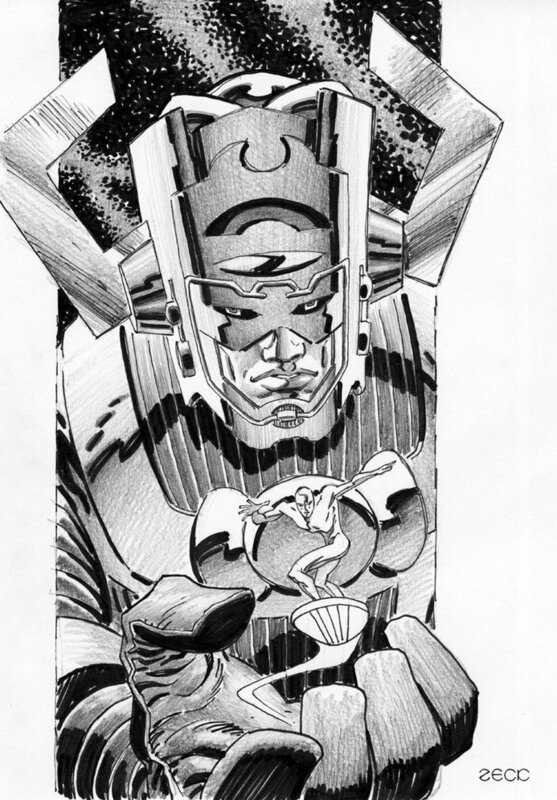 In the space of 22 pages, Byrne gets you into Doom’s head and allows you to understand the man behind the mask as the different facets of his life reveal different things about him. It’s a tightly-written and plotted story, driven by Doom’s character who proves to be a statesman, a noble father-figure, and an obsessed and sly villain. 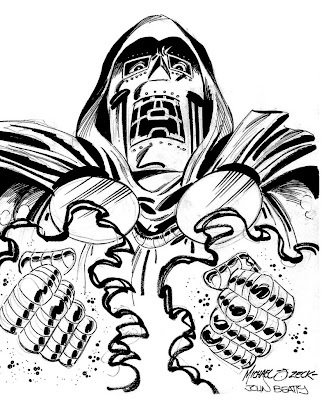 Byrne’s portrait of Doom allows you to fear him and sympathize with him. 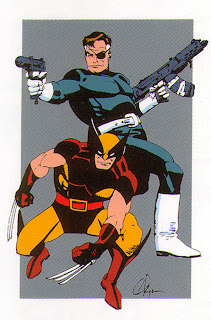 I recall picking up this issue from a convenience store for the tidy sum of $0.75 Canadian and how it blew me away. Despite the title on its cover, I didn’t feel cheated in the least that the Fantastic Four didn’t appear in it. Interestingly, it’s the only issue of the Fantastic Four, up until that point, that didn’t have an appearance by any of the Fantastic Four. There’s only a hint of the Fantastic Four in this issue and that has to do with the latest plan that Doom is setting into motion. And, that sub-plot takes over in Fantastic Four #259-260. 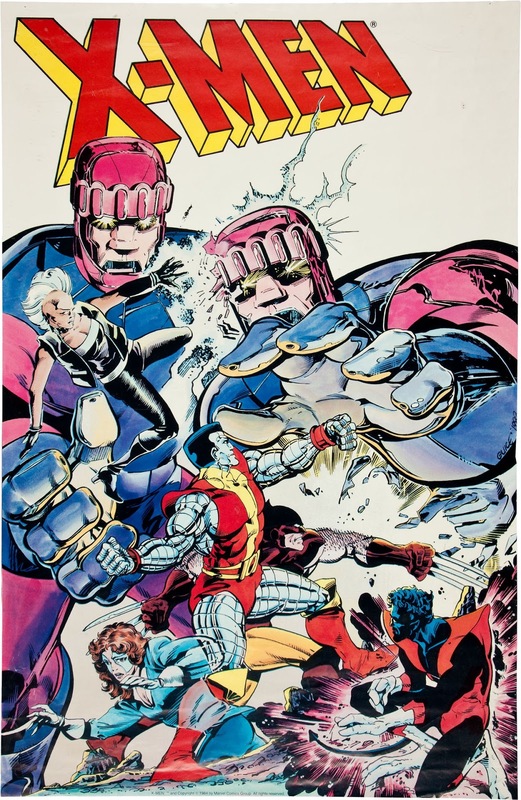 What blew me away in re-reading this wonderful, self-contained issue was how much Byrne crammed into this issue. 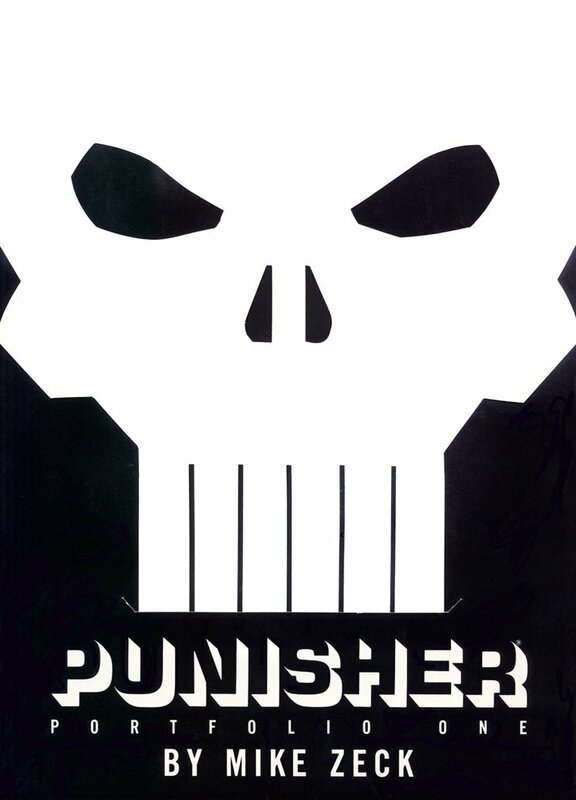 Well fleshed out secondary characters, multiple plot lines and sub-plots, all in addition to a solid character study. Posting those Dazzler covers had me searching for more of Sienkiewicz's incredible art. Enjoy. 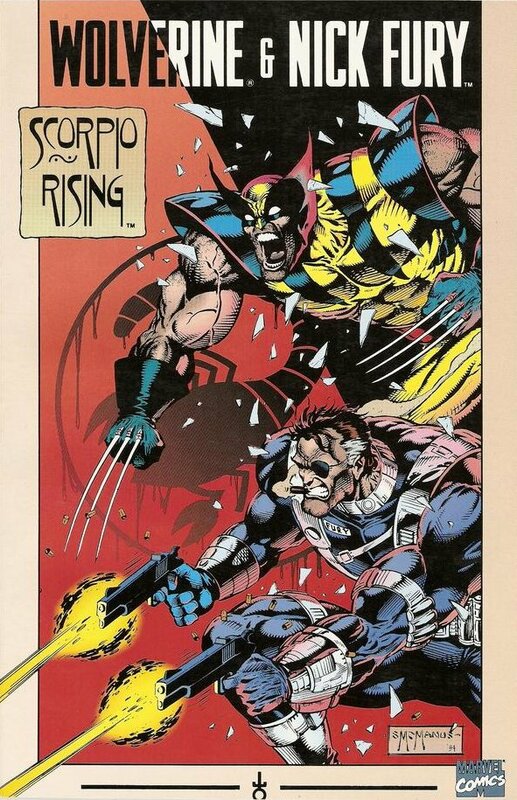 This Wolverine pin-up was a part of a backup gallery in Wolverine's first ongoing series in 1989. 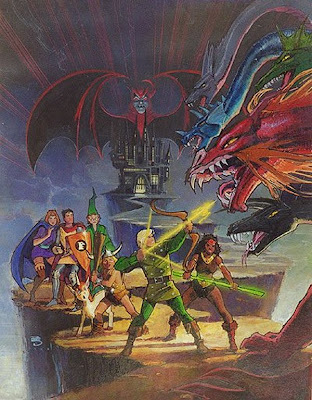 I'm sure some of you will recognize the heroes from the Dungeons and Dragons' TV cartoon. 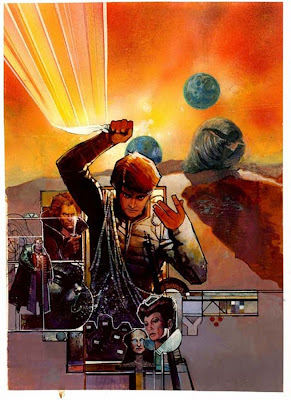 Marvel Comics' adaptation of the movie Dune. 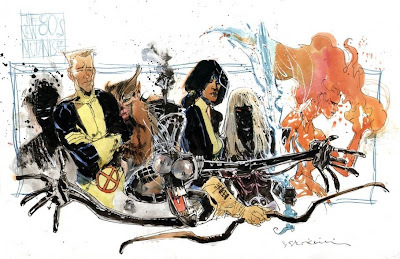 A commission featuring Sienkiewicz's take on the New Mutants. 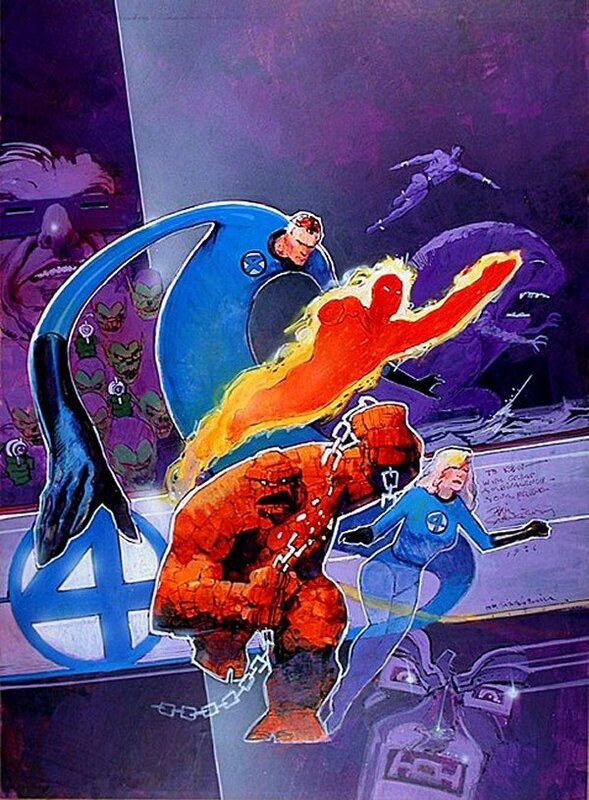 A nice tribute to the Fantastic Four. I believe it was for the cover of one of the Official Index issues. 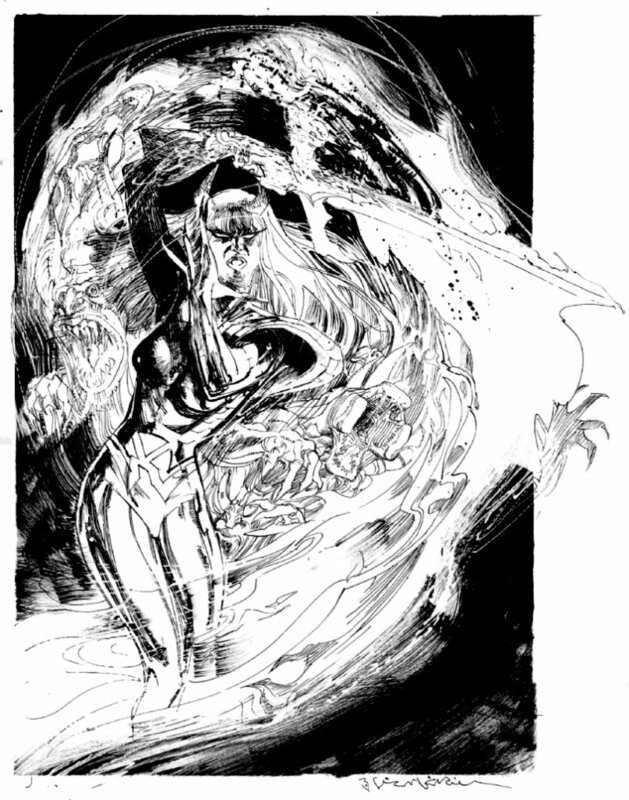 A commission feature the New Mutants' Magik. Loki from the cover of an issue of What If? Alpha Flight... traitors??? After saving their country from the hammer-wielding XXXXX, The Flight are captured by the newly risen Unity Party and branded as traitors. 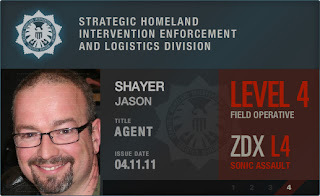 Now they must escape from the bowels of the top-secret facility, Department H, they once called home. 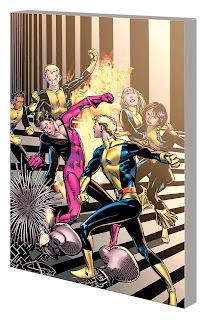 In doing so they must confront the shocking betrayal of one of their core members -- and discover an imprisoned hero readers have clamored to see since this series was announced! The red-hot writing team of Greg Pak and Fred Van Lente and artistic legend Dale Eaglesham continue their highly-anticipated resurrection of one of Marvel’s most beloved super hero teams in a story that absolutely cannot be missed! Yesterday, I was fortunate enough to meet up with 1980s Legend Bob McLoed, famous for his work on the New Mutants, X-Men, and Amazing Spider-Man. I commissioned a recreation of the cover of New Mutants #1. And to say the least, he hit a home run. My photo can't do the recreation justice, but from what you can see, it's simply stunning.